Closing Civic Spaces In Nigeria | Soldiers attack newspaper reps, arrest 64 year old female vendor. Soldiers attack newspaper reps, arrest 64 year old female vendor. 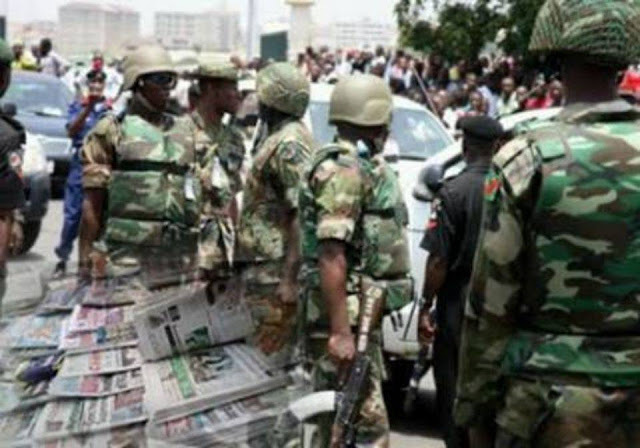 Soldiers from Ngwa High School Forward Operation Base, Aba, manhandled sales representatives of Thisday and Authority Newspapers and arrested two vendors, including a 64 – year old Vendor, known as Jecima for allegedly selling ‘Biafra Newspapers’.